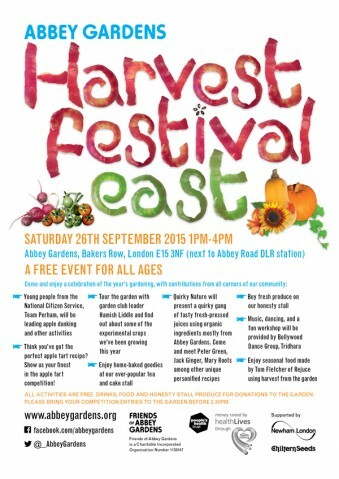 Abbey Gardens would like to invite you to our Harvest Festival East on Saturday 26 September from 1-4pm. (details in flyer attached). 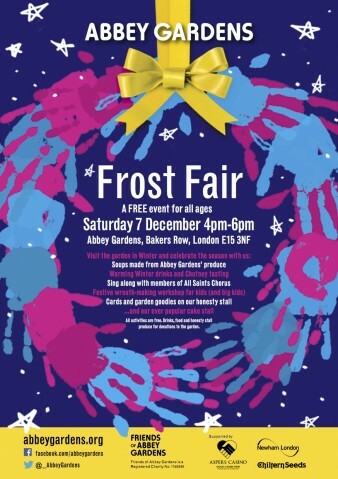 There's a LOT happening at Abbey Gardens in the next few weeks and also some ways you can help us to raise the important funds we need to keep the garden running. We will be taking part in the Art Moves exhibition on September 20th-21st; celebrating Urban Food Fortnight with a charity dinner on September 24th and of course there is PUMPKINFEST, our Annual Harvest Festival on September 27th, which is a free event in the garden from 1-4pm. Tickets are priced at £25 and include two courses and a botanical cocktail (with wonderful Abbey Garden herbs). The event will be at EastTwenty Hospitality Suite. A donation from the ticket price will be made to Abbey Gardens with an additional commission if Abbey Gardens sell the tickets! There will also be a prize draw on the night, where you can win numerous great prizes! TICKETS ON SALE NOW – CALL 0333 800 8099 TO BOOK! 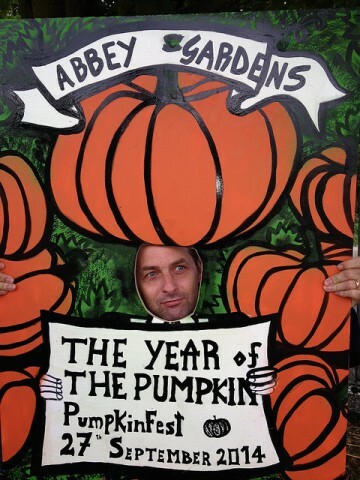 This year’s Harvest Festival at Abbey Gardens is PUMPKINFEST – a free, fun-filled event celebrating all things pumpkin! 1. Pumpkin-squash-gourd competition – bring your best looking or most interesting pumpkin, squash, gourd or marrow for display and it might win a prize! All produce will be returned after the event. 2. Creativity with vegetables – create something unique with your vegetables – entries can include carved pumpkins, decorated pumpkins, vegetable sculptures – anything! Our competition prizes have been kindly donated by Foyles and Sawmills Cafe. And of course there will be our honesty stall and the popular tea and cake stall. 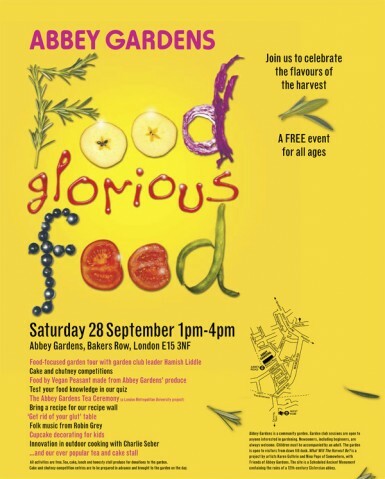 In particular, this year we have been working really hard on some original Abbey Gardens produce – there will be homemade tea, chutneys and over 100 jars of Abbey Gardens original gherkins – all available for donations to the garden! 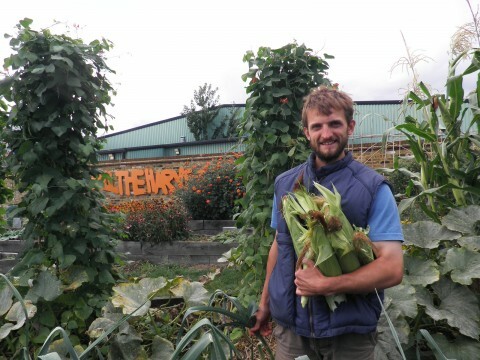 Community Haystacks invites everyone with an interest in the history and current use of the marshes to take part, with the aim to reintroduce annual communal harvest events to the former Lammas Land. The Walthamstow Marshes are one of the last expanses of semi-natural marshland left in London, and were formerly used widely for grazing and haymaking. Since 1985 the land has been designated a Site of Special Specific Interest (SSSI) and is now managed by the Lee Valley Regional Park. Book your tickets now. 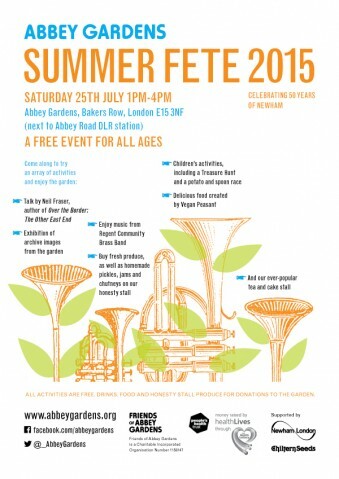 Alternatively, if you’re a dab-hand at sycthing, why not just come along! 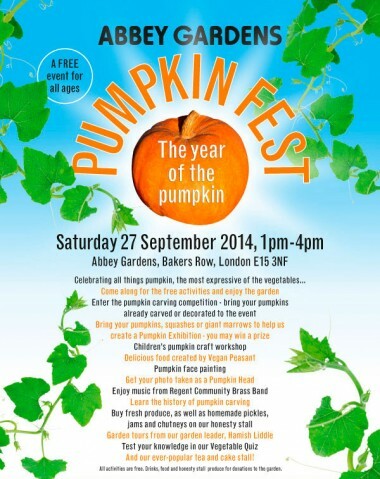 The event is organised by the Lee Valley Regional Park Rangers together with artists Kathrin Böhm and Louis Buckley. 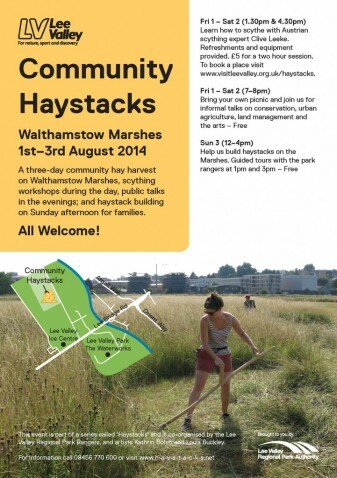 This year’s ‘Haystack’ follows on from a first public haystack making on the marshes in 2013. 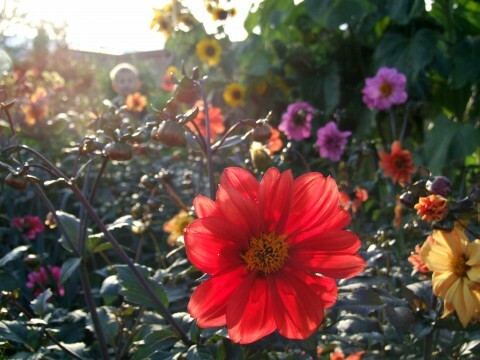 ABBEY GARDENS IS PRESENTLY SEEKING A PART-TIME CO-ORDINATOR TO OVERSEE THE ADMINISTRATION OF THE GARDEN’S ACTIVITIES. This excellent opportunity offers the challenge of working with a diversity of people within a newly formed charity. 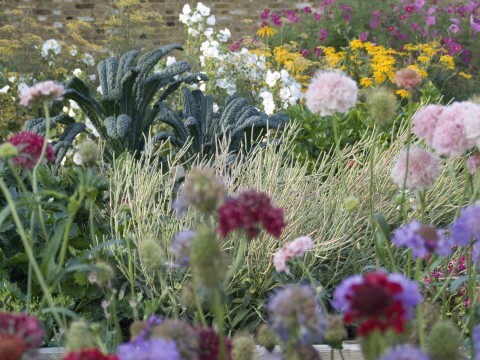 The role involves project managing the administration and funding of the charity, assisting in planning the garden’s programme and co-ordinating the garden’s publicity and communications. The Project Co-ordinator will be self-employed and contracted for an initial 6 months, which can be extended, subject to funding. Ideally, the successful candidate will possess some experience in charity administration or running local / community gardens. However, enthusiastic and motivated individuals with related experience will also be seriously considered. To learn more and find out how to apply, please read the job description here. Closing dates for applications is 12th April 2014.